God on a Goldfish Cracker? 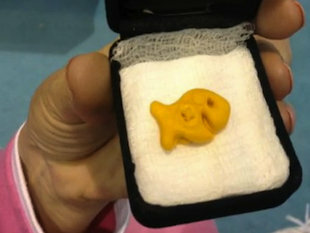 It’s a fishy story, but the woman telling it believes it’s pure gold. The Florida resident says the markings she found on a Goldfish cracker are a direct message affirming her Christian faith. It’s not quite manna, but in Burke’s eyes it’s a manifestation of her faith. Umm… yeah. Pardon me, but… IT’S A CRACKER!!! Sorry, I just had to get that out of my system. Come on folks, is it really any surprise that the person making this “miraculous discovery” (which has all the markings of a modern-day “religious relic” such as the infamous Virgin Mary Grill Cheese Sandwich) is a devout Christian? That is the classic marker of pareidolia – our evolution-wired brains are developed for pattern recognition, and one of the most recognized patterns for a Christian is the cross. Throw into the mix a bit of religious fervor (i.e. in this case, devout Christianity) and viola! you have a “miracle” appearance of the cross on a cracker. So what, if anything, do you see? If you’re like me, you see some wavy lines which are essentially meaningless. But if you are a devout Muslim who can read Arabic, you will likely see “Allah” (God) written out in Arabic. And, before you roll your eyes, there are people who treat this as seriously as our lady does her cross-marked cracker. So, what this shows you is that the interpretation of these “miracles” is strongly context and culturally specific. In conclusion, what this all really teaches us about these kinds of “miraculous events” is this: it’s all in your head, folks, and people who believe strongly enough can find amazing ways to validate those beliefs – even if to the rest of us it’s utter gibberish. 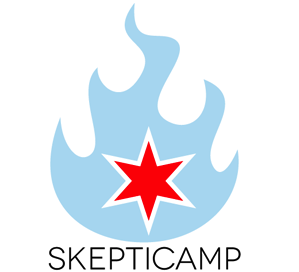 This past weekend I had the honor of speaking at the Chicago Skepticamp 2013, and I chose to do my talk on a topic on which I’ve written before here – the communication gap that we skeptics and science-supporters have with creationists and other psuedoscientists. I have spent many electrons typing on my keyboard and posting online about those who would use the government to impose their religious beliefs upon the rest of us by undercutting science education in our public schools. In fact, the most published category on my blog is in reference to creationism, that bugaboo which never seems to go away, like a bad game of Whack-a-Mole that you can’t ever finish. Like many who call themselves skeptics of pseudoscience, the paranormal, and religion, I have some friends who are into one of more of the aforementioned areas. 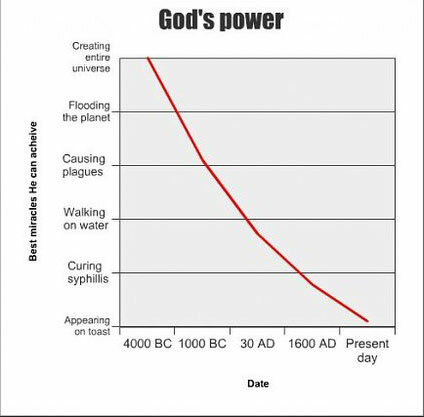 Specifically, I have friends who proudly call themselves creationists, in the sense that they adhere to the most common variant called Young-Earth Creationism (where their reading of the Bible says the Earth/universe is roughly 6000-10,000 years old). What I want to do here is to recount a conversation I had with one of these friends and how it opened my eyes into how the creationist mind seems to work. A couple of years ago, I had posted an article on my blog about an upcoming geocentrism conference, which was titled “Galileo Was Wrong” – in the sense that the participants in this conference were actually arguing the Sun isn’t the center of our solar system and that astronomy and physics for the last 400 years or so is completely wrong. 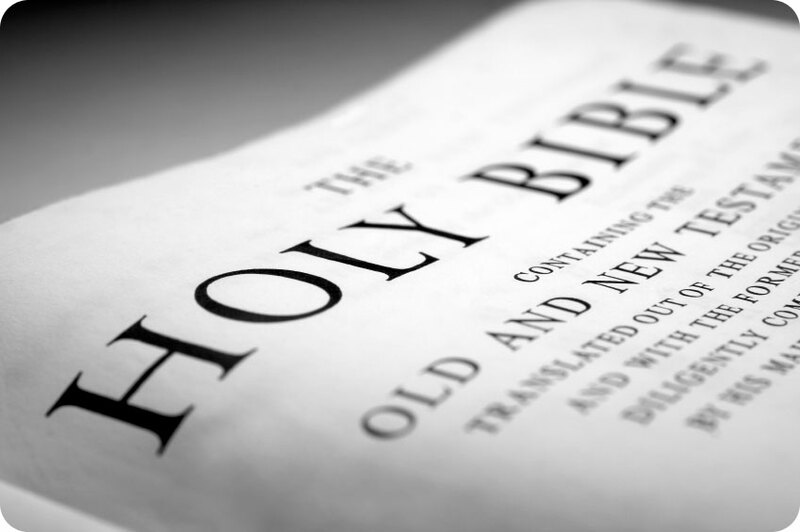 In my post, after presenting a plethora of scientific reasons as to why geocentrism is outright wrong, I took some time to focus upon one of the primary arguments presented by the geocentrists: their reading of the Bible. … Last, but not least, it seems that the motivation for modern geocentrists to hold these loony views, despite all of the evidence & science against them, is based in their particular reading of the Bible. In other words, their particular set of religious beliefs trump all of scientific reality. Or, to put it another way, they are engaging in some really interesting mental gymnastics to come to the conclusion of “the Bible is literally true” and retrofit all evidence (through liberal use of cherry-picking, goalpost moving, and in some cases outright lying) to jibe with their religious views. In every interaction I have had with geocentrists, whether it be perusing their “Galileo Was Wrong” website or looking through their literature (my favorite one is a book mailed to me at the school where I teach titled “The Geocentricity Primer: The Geocentric Bible #7”), I have found their arguments placing a heavy emphasis upon their reading of the Bible. He saw where I was headed with this line of thought, and he quickly changed his tune. “Well, their reading of the Bible is incorrect. That’s why they’re wrong,” came his reply. Never mind the fact that he never bothered to point out to me any kind of Biblical evidence, such as Scriptural passages, which outlined exactly what was wrong with the geocentrist arguments. When I pointed out to him that he was changing his argument he became increasingly uncomfortable, especially when I followed up with the logical conclusion: if you think that scientific facts can trump a geocentrist reading of the Bible, then why can’t scientific facts trump a YEC reading of the Bible? At that point, I could see that my friend had cognitive dissonance in full swing within his mind, as he kept insisting that “all you need is the Bible to see the truth” and whatnot. I insisted on pointing out to him that the geocentrists, whom he labeled as nuts, would make exactly the same argument contrary to his personal reading of the Bible. Once again, he squirmed, merely insisting that he was right and they were wrong. Eventually, I let the matter drop, but not until after I had planted that skeptical seed of doubt. Hopefully, one day, it will start to grow. This entire interaction taught me something which I hadn’t quite internalized until that point, and I think this is something which skeptics and supporters of science often struggle with. We often lament about how many people seem to be almost willfully ignorant of science and its wider implications, as if we simply expect everyone to give science as much credence and importance as we do. Now, don’t get me wrong – YECs and geocentrists alike enjoy the fruits of science’s labors, such as TVs, computers, the Internet, planes, cars, etc. But what they seem to fight, and where the aforementioned cognitive dissonance seems to come in, is when the questions go beyond the mere “toys” of science to larger issues of one’s belief system and/or worldview. Once science starts to encroach upon that territory with its pesky facts and logic, many are willing to either ignore science or even fight against it openly! So it seems to me that we have a pretty serious communication gap with people like YECs, in that we naively expect them to think like us, when nothing could be further from the truth. In many ways, those of us who embrace the scientific mode of thinking are the exception, and even then you don’t have to look far to find a skeptic who all-too-easily slips back into the more common mode of unscientific thinking. Because of this gap, in many ways when attempting to engage in discussion with them, we are literally speaking different languages: we are coming to the issue from a naturalistic, science-based framework, and they are coming to it from what they consider a Biblically-oriented worldview. 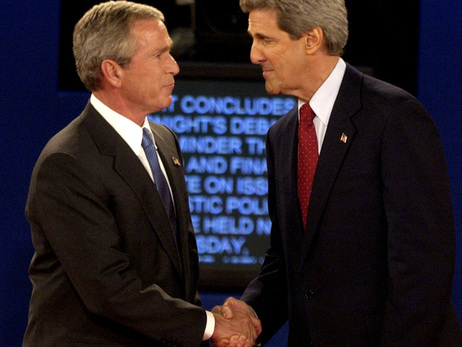 And, in many ways, never the twain shall meet, as the saying goes. So, what to do? How can we bridge this gap? I think my interaction with my YEC friend on the question of geocentrism might provide a lesson in how to address this question. Rather than argue with him about how YEC was scientifically unsound, which I had futilely attempted to do before, I went right to the core of his arguments: I used his own language of “truth in the Bible” against him by providing him with an example of a worldview (geocentrism) which he considered incorrect, even though that worldview made exactly the same kinds of appeals to Biblical literalism which he himself had so often made! Now, will such argument be effective? I don’t know, only time will tell. But I think it will accomplish two things: 1) it will give my friend some pause to think, in a manner in which he is able to think, and 2) it can keep the conversation going because now we are, in some way, at least sharing the same language. 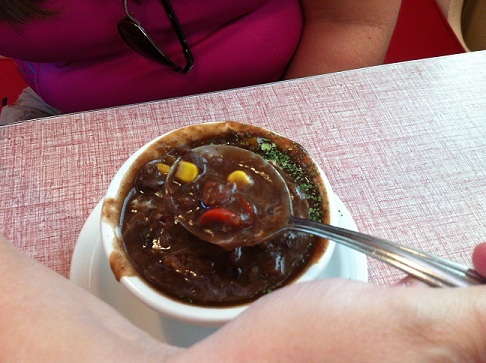 Fun with Pareidolia: Mr. Bill in my Soup! 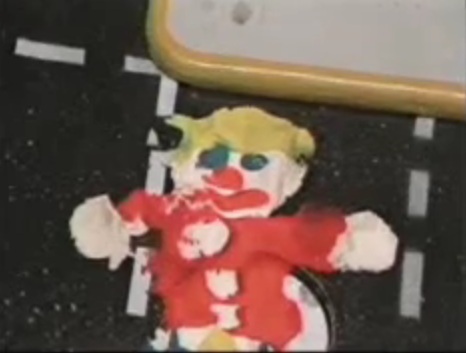 Of course it isn’t Mr. Bill in my soup, folks. It’s just another classic case of pareidolia, the same phenomenon by which people think they see dogs or cars in the clouds, the so-called Face on Mars, the Virgin Mary on a piece of toast, or visions of Jesus in a window. Essentially, our brains work as pattern-recognition machines, and one of the most familiar patterns which we are evolutionarily programmed to recognize is other human faces. So we tend to see human (or human-like) faces in bits of random data even when there really is no face there to begin with! I recently listened to an episode of the Point of Inquiry podcast titled “The Debunking Handbook” which dealt with the question of how to most effectively go about “debunking” various myths, pseudosciences, and misconceptions. The general thrust of the episode, which I highly recommend, is that most of us who call ourselves skeptics don’t really do that good of a job of communicating our debunking in a successful manner. In fact, many skeptics actually make the problem worse by inadvertently reinforcing the bunk they are trying to debunk! Jesus Toast: Pareidolia You Can Believe In! As a fun way of sharing some skepticism of “miraculous vision” claims, I wanted to share with you a really funny YouTube a friend sent me. It pokes fun at the phenomenon of pareidolia, wherein people claim to see all manner of wild things – Jesus, the Virgin Mary, aliens, Michael Jackson, etc – in everything from the clouds to their shower curtain. Of course, we know from modern science that these are illusions of perception, because our brains are marvelous pattern recognition machines, causing us to sometimes see things that are not really there. This winter solstice, the night of December 20th and early morning of the 21st, will bear witness to a full lunar eclipse. It seems to me that every time such an event takes place it brings forth all manner of myths & misconceptions regarding the moon and its supposed effects. So, in the spirit of this evening lunar eclipse, I wanted to pass along to you all the straight science regarding some of the more loonie (pardon the pun) claims regarding the moon. The moon holds a mystical place in the history of human culture, so it’s no wonder that many myths — from werewolves to induced lunacy to epileptic seizures — have built up regarding its supposed effects on us.